We lost our mom, grandma, and great-grandma this week. She had a way of filling a room with laughter. She never met a stranger and her phone calls, cards and prayers gave joy to many. Marcia Joy De Prenger was born May 4, 1931, to Fred and Irene (Van Steenis) Van Maanen, in the Mahaska Hospital in Oskaloosa. 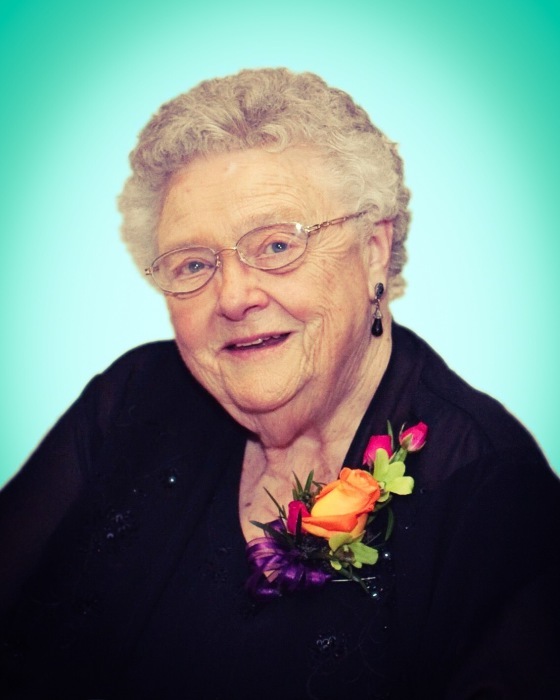 She passed away on August 17, 2018, at The Comfort House in Pella. Marcia grew up in the Leighton area and graduated from Pella Community High School with the class of 1949. She went on to attend Central College in Pella for education. On February 7, 1951, she married Howard De Prenger at Ebenezer Reformed Church in Leighton. To this union four children were born: Beth, Ruth, Lee, and Susan. Howard and Marcia farmed for fifty-five years in the Pella and Otley areas. Marcia taught country school and was a substitute teacher in the Pella area. They moved to Pella in November 2003. Marcia loved music. She sang in the All-State Choir, the church choir and gave piano lessons. She was accepting of all, cared for all and made frequent phone calls to family to stay in touch. Marcia was a member of Otley Reformed Church for many years and her strong faith was always evident. In addition to her children and their families, she is survived by: her sisters-in-law, Vivian Glendening of Pella and Francene Hugen of Oskaloosa; and many nieces and nephews. In addition to her husband Howard, Marcia was preceded in death by her brother Brandt Van Maanen, and her in-laws: Velma (Wilbur) Rempe, Betty (Bert) Van Arendonk, Robert Hugen, and Herb (Jeanne) De Prenger. She was also preceded in death by her great-grandson, Reid Vander Linden, and nephews: Curt Van Maanen, Ken Hugen, Dennis Van Arendonk, and Keith Van Arendonk.